It seems as if Bobbi Kristina has been following in the steps of her celebrity parents, Bobby Brown and Whitney Houston. While her parents are two of the most-talented entertainers of all-time, they have not had a great track record with substance abuse. Both of her parents have had issues with drugs. Bobbi Kristina has been involved in rumors of drug abuse for some time. While she has been accused of using drugs, there has not been any proof leaked to the media. As far as the public knows, she has not been arrested due to drug charges. But, she has been outed for drinking alcohol. Most recently, Bobbi Kristina was caught in the middle of a gun fight at an Atlanta club. 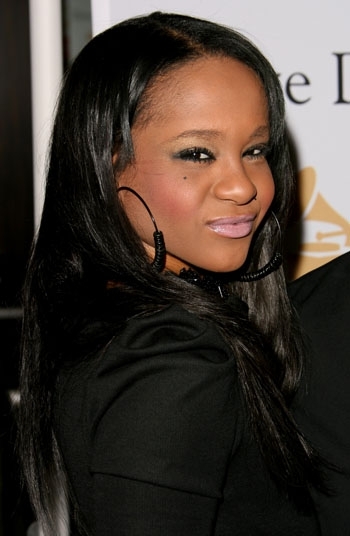 While the issue was initially between the two fighting, the attention shifted to Bobbi Kristina. The daughter of two of the biggest entertainers of the 20th century is bound to gain attention, both wanted and unwanted. This time around, the attention was unwanted. Bobbi Kristina was asked to lay on the floor by police before being arrested for underage drinking. She will face up to six years in prison. Upon discovering what happened, Whitney Houston had Bobbi Kristina shipped away to Los Angeles. Houston, who has had her own issues with substance abuse, wanted to get her daughter away from the bad influences.